Chinese politics from the provinces: Who Gets to Drive And Park Public Policy in China? 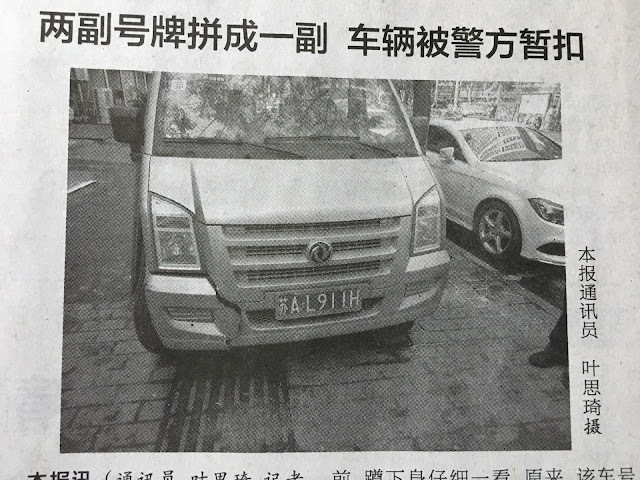 Who Gets to Drive And Park Public Policy in China? 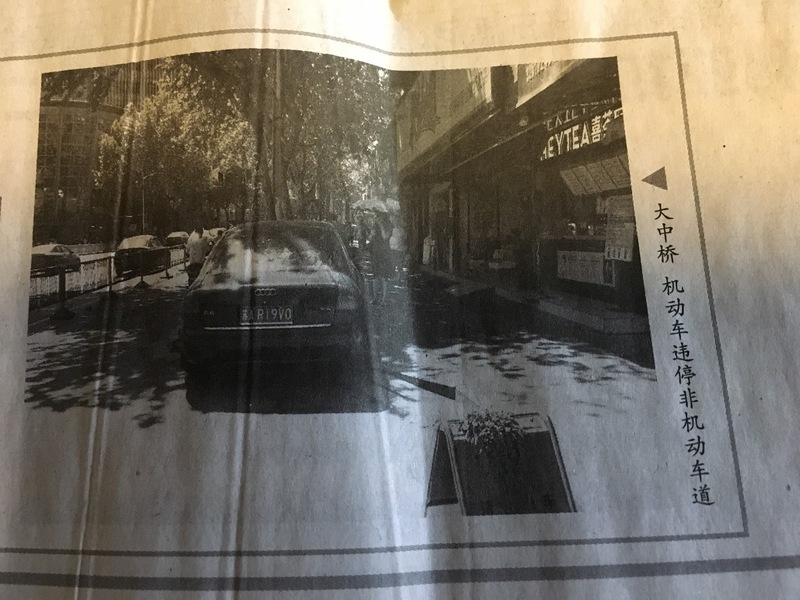 How and where in Nanjing you should park your car is a trifling but telling story of public policy in contemporary China. In 2011, Nanjing had 990,710 registered cars. By the end of 2016, the city had 2.2 million passenger vehicles. Traffic flow is one problem, but parking is a larger one. For many residents, it’s not how fast you go but where you end up in Nanjing that’s the daily test. The city is adding new parking spaces and requisitioning old ones, but beyond a general sense that more slots and structures are needed—and neighborhood initiatives for specific streets undertaken—sentiment is split among local officials about how best to meet this challenge. There are The Enablers: the same sort of Modernising Reformers pushing the age-old Chinese effort at change through scientific innovation. These days, it’s the notion that more sophisticated technology can be used to inform and guide public policy. Science may or may not save China, but this camp sees it as an essential problem-solver. For example, many local governments in China are utilizing new technologies for data collection. For many observers, that means using “Big Data” for assembling social credit scores to more closely monitor citizens and their conduct. But as local officials see matters, they need data simply to know more about the society they’re supposed to be governing and to create options for managing it. 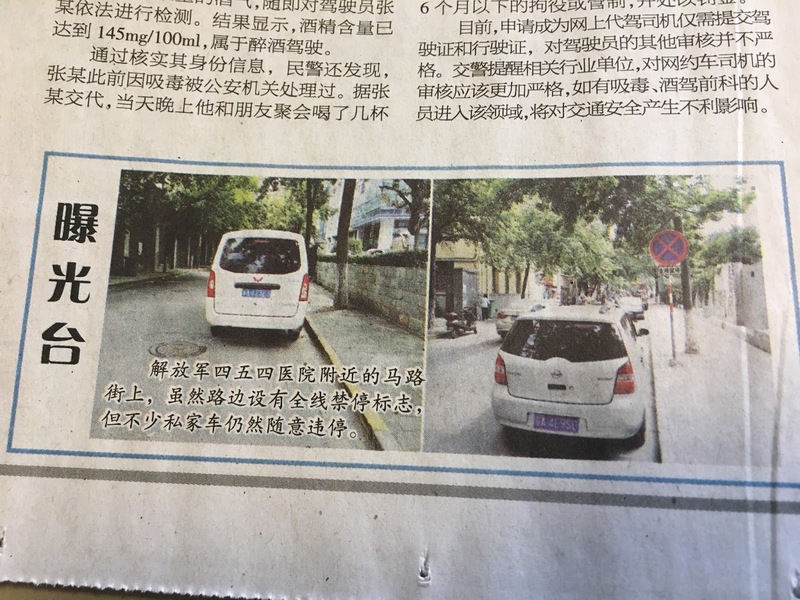 Nanjing had been employing information to gain a clearer sense of traffic problems--for example identifying the likely travel routes taken by drunk drivers), and tracking pedestrian traffic at local shopping malls, among other initiatives. In the case of parking challenges in Nanjing, according to this school of thinking, Big Data can identify traffic patterns and the supply-and-demand situation about parking, eventually pass that information in real-time to drivers looking for parking spaces, and, in the interim, look at ways to construct better venues for parking. As with other Chinese cities, more than a few of these measures go well beyond experiments: Publicly available documents make it clear that Enablers have been successful at kick-starting programs of data collection that are producing new policies. While for many observers these efforts are invasive and Orwellian, for local officials here, this strategy is simply seen as better social management—a policy path of technocracy combining with autocracy. Then there are The Disciplinarians: Hardline conservatives who want to manage Chinese society spiritually, whereby the Communist party is the most physical and metaphysical force of and for all. This group of officials doesn’t rely on innovation; just on the idea that what’s ails Chinese society isn’t a lack of institutional modernization but a dearth of individual moderation. In their view, the solution is civilizing citizens. And to do that, it’s necessary to shame the misbehaving ones. To that end where parking is concerned, Nanjing Daily [南京日报] frequently publishes photos taken of violators—vehicles parked illegally or blocking traffic. It’s a throwback to the campaigns of old, which sought to identify transgressors of various shapes and sizes, depending on the political season. The Disciplinarians aren’t naïve or Neanderthals: They know that technology has its place in Postmodern China. They just believe that The State, not Science, should dominate. It's public policy by enforcement, powered by ideology. So this is a contest--between reformers who believe that nation-building here is best done by taking advantage of progress already made and making the system smarter, versus conservatives who think that further advancement will only come with tighter controls and instilling a deeper sense of awe for the power of the State. The lean towards Big Data is a move both support, but for very different reasons. The former sees it as making public policy sharper; the latter likes it as a blunt instrument to bludgeon those who disobey. What’s true for Nanjing is true for China generally, and who wins the battle here for what sort of public policy gets adopted will both affect and reflect politics at higher levels. 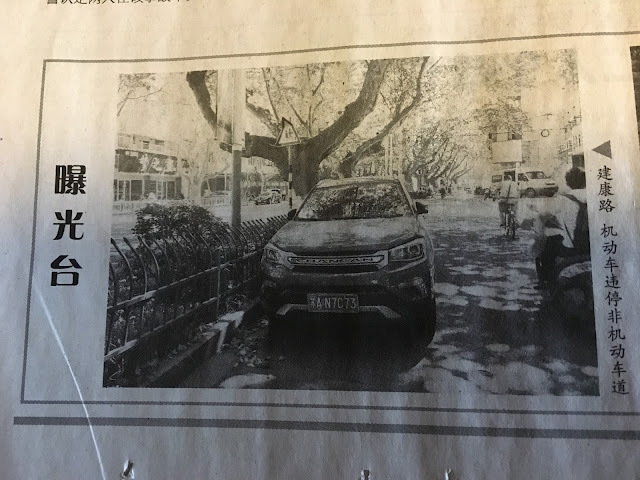 In China, it’s not only where you end up; it’s who gets to drive there. An excellent compilation and analysis of many of the social credit initiatives here can be found at http://china-social-credit.com. There’s no better research available in China or abroad on this subject thus far than that done by Dr. Floria Sapio. The stats you quoted is 2 decimal places off. 万 is ten thousand. I suppose 2.2 million cars in a city of less than 10 million people is probably still too many cars. There's only so much any government (or big data) can do to alleviate parking shortage problem if they don't rein in car ownership numbers. Of course. Thanks for pointing that transposition error, the result of bad proofreading on my part. It has been corrected. 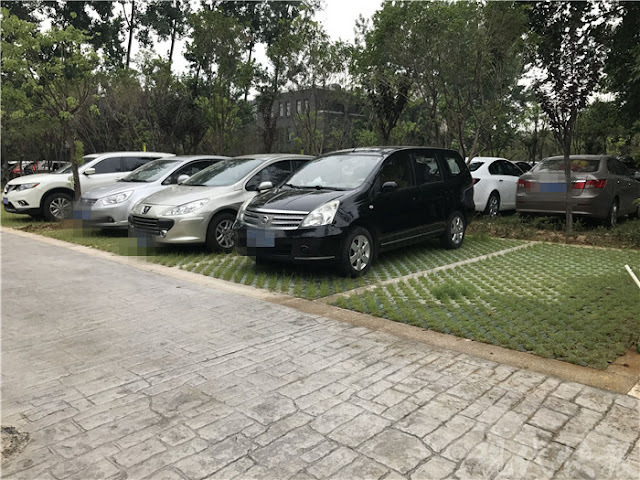 There's some evidence to suggest that the numbers themselves--that is, the actual figures of cars on the road in Nanjing--are far above that figure, given that many cars are registered elsewhere and driven and parked here, especially in compounds where the overall management is poor.